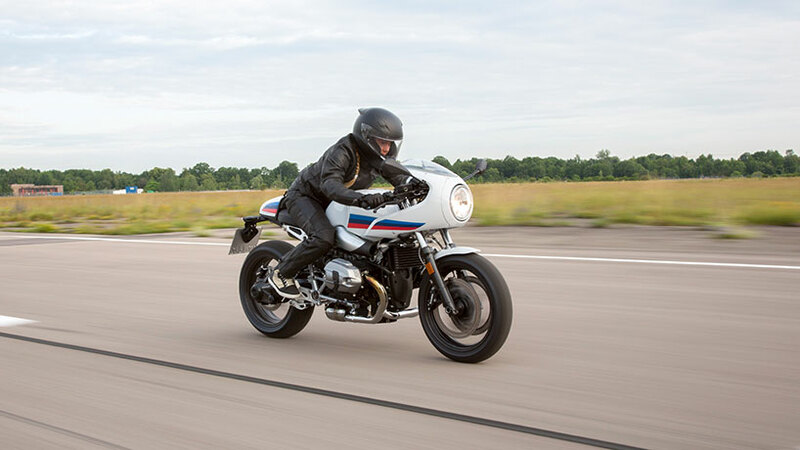 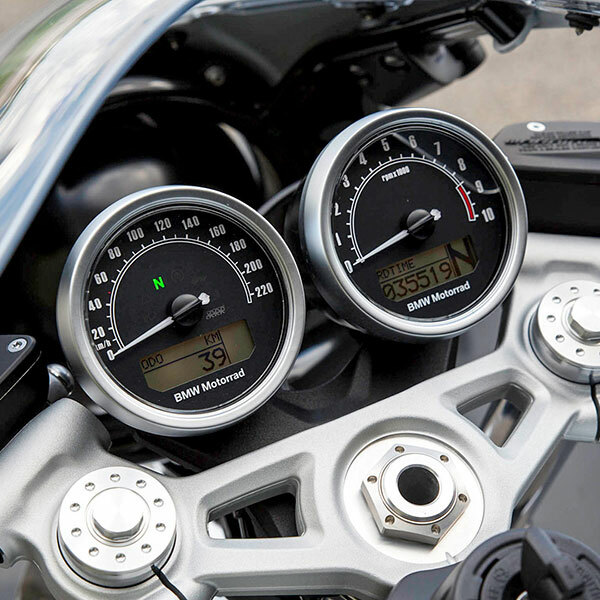 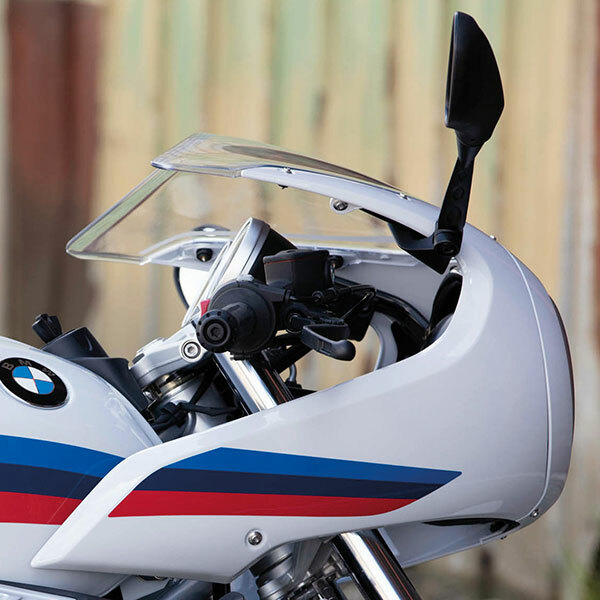 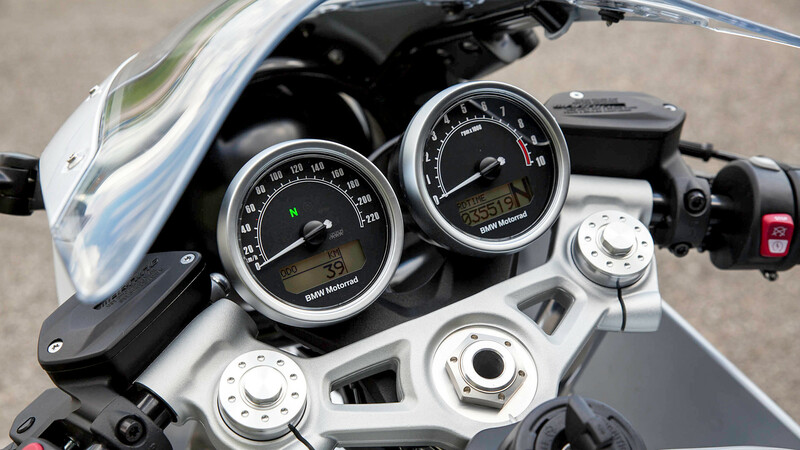 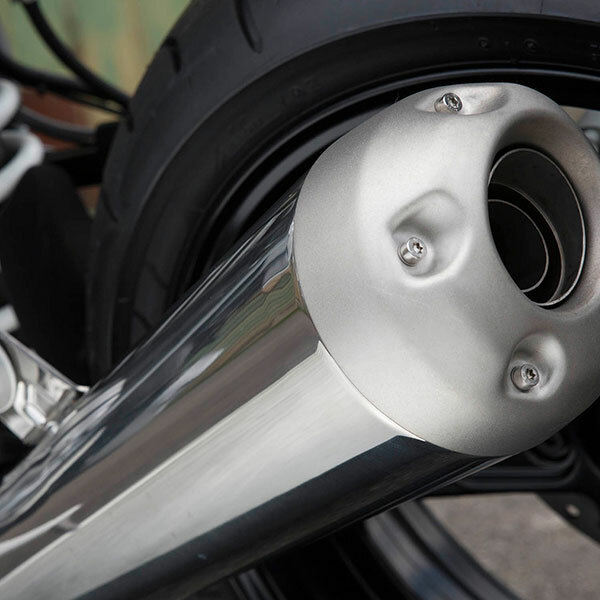 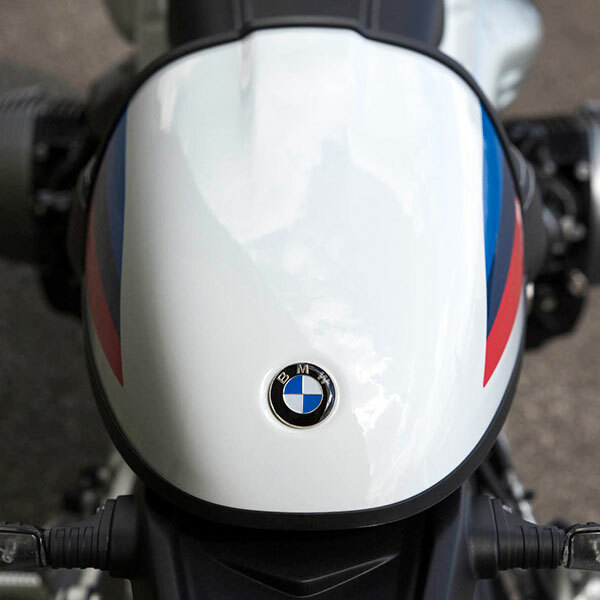 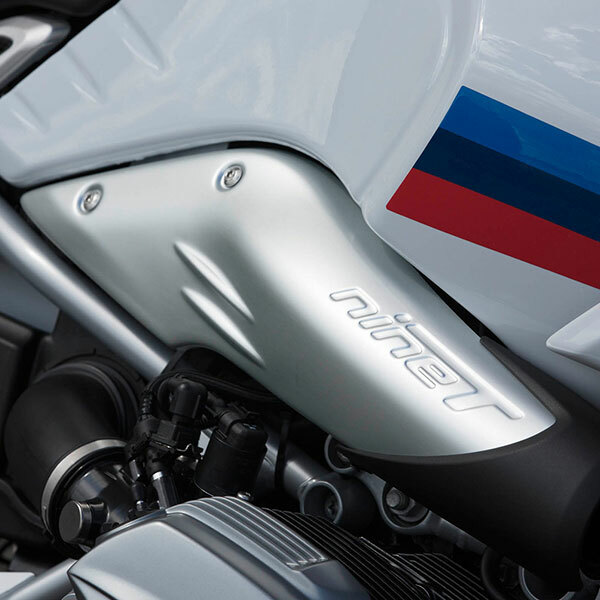 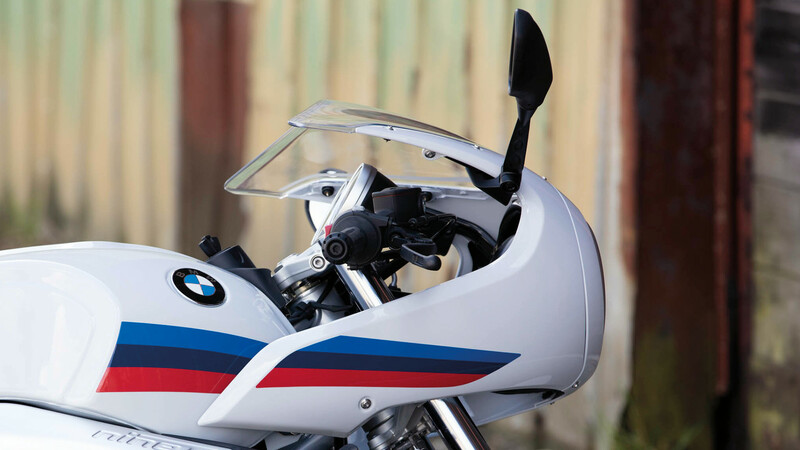 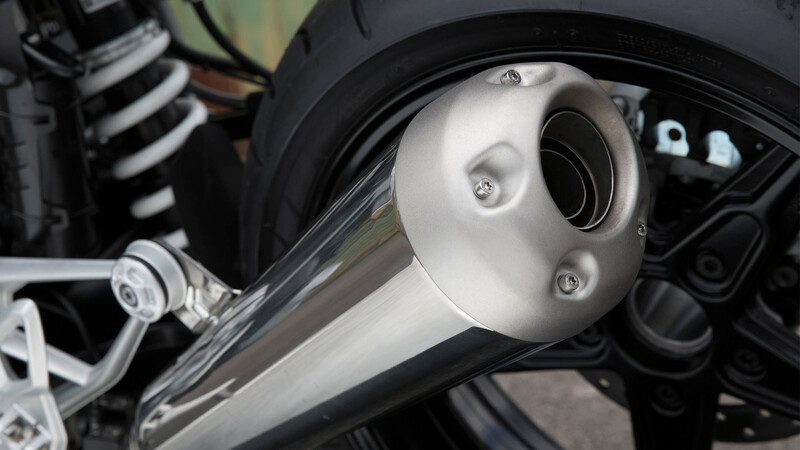 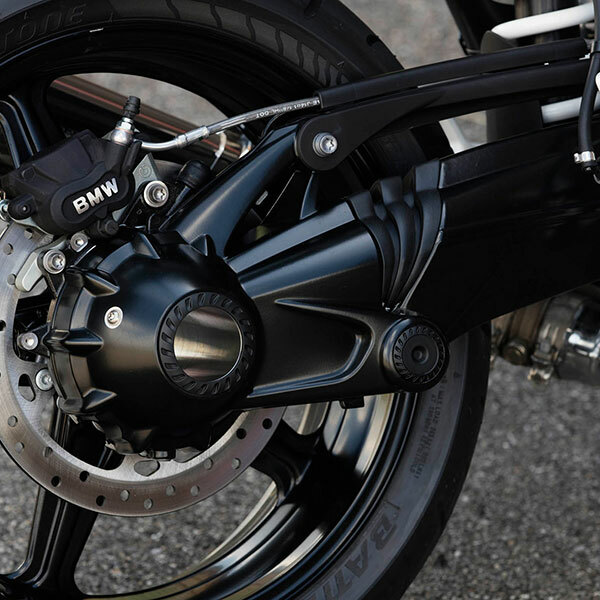 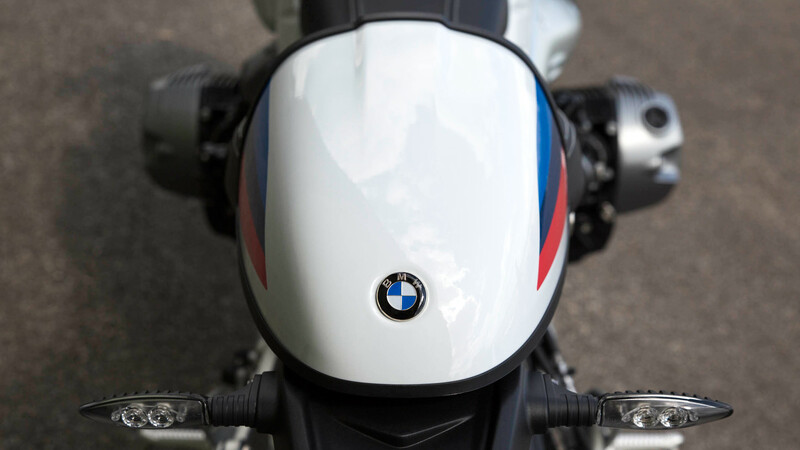 The design of the R nineT Racer unmistakably takes inspiration from the motorsports bikes of the 70’s. 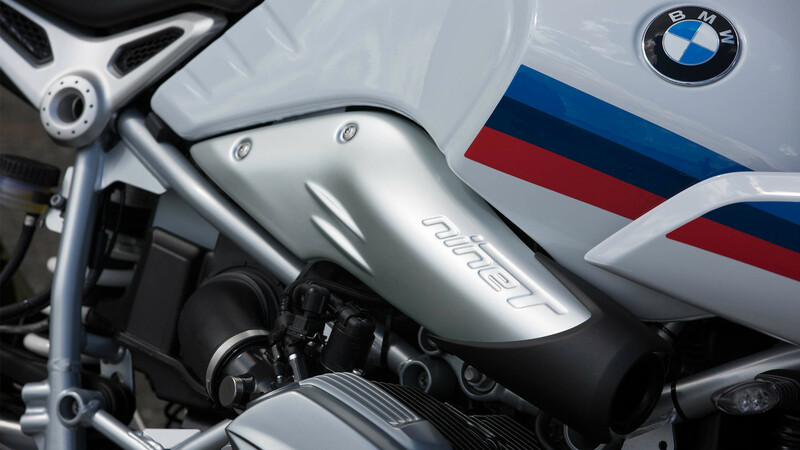 The elongated proportions extend through the entire design and promise pure acceleration. 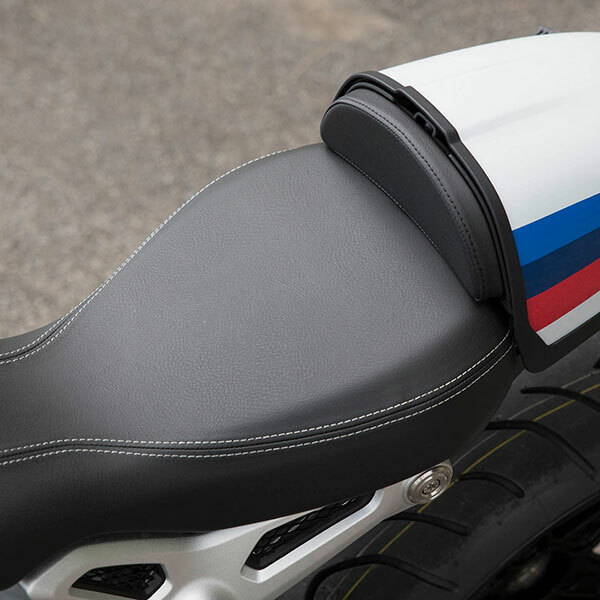 The distinctive half-shell fairing, the tank and the seat shape the slim silhouette. 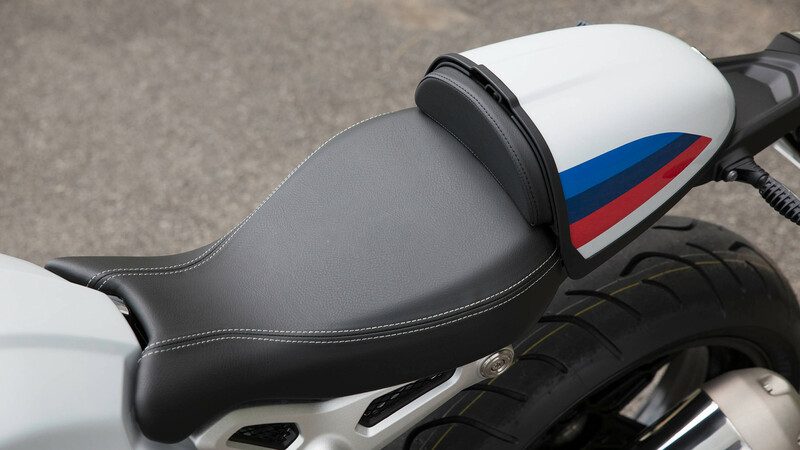 The long wheelbase and the low-slung handlebars positioned far to the front complete the low, sporty seating position. 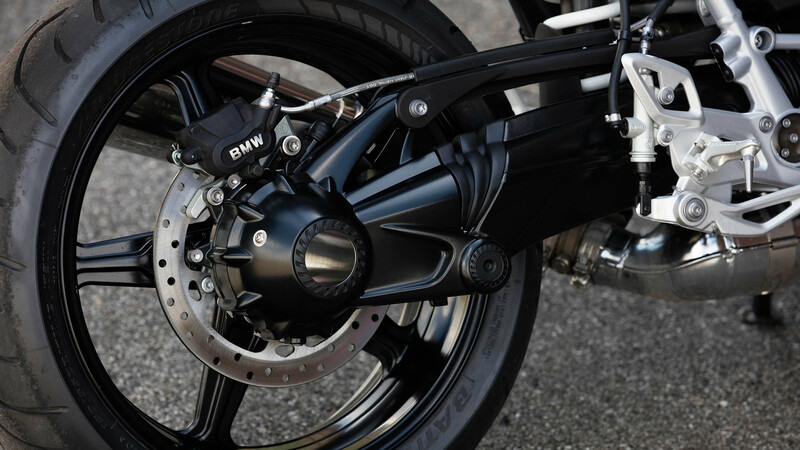 Then the high-set, far back footrests: as a rider, you lean into an aggressive riding position. 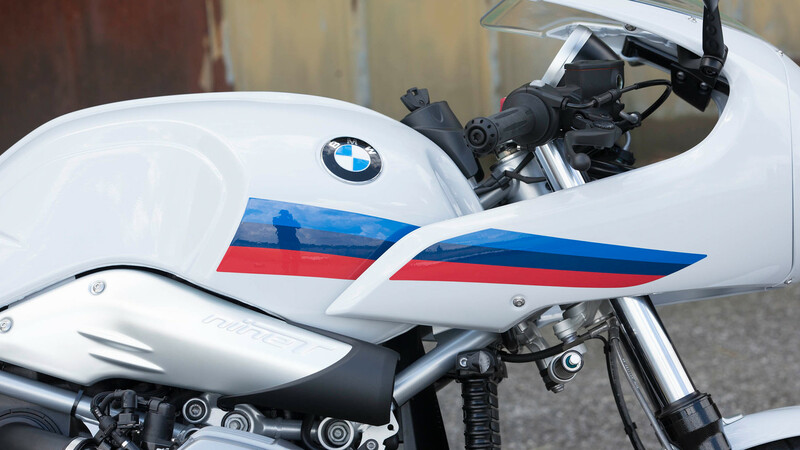 Surrounded by the white bodywork, which clearly stands out against the dark driving parts and technology. 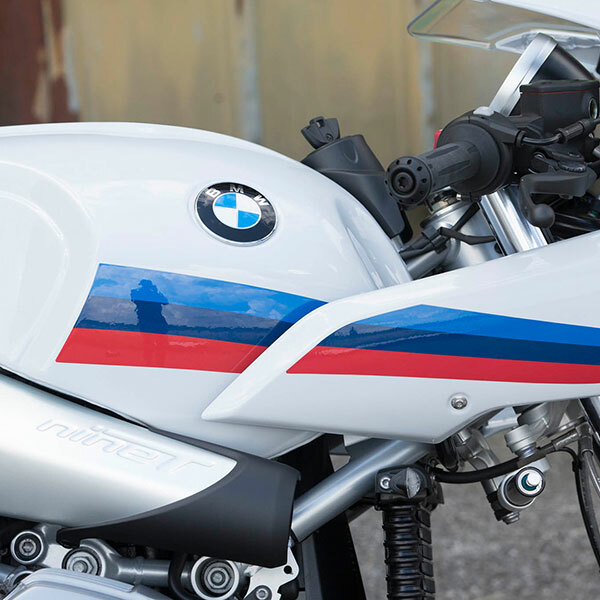 Even the BMW Motorsports colors seem to constantly call for the next corner.